After seven very successful years, Sporting Events are delighted to announce the return of The Atlantic Cup from the 29th January to 6th February 2018 in the Algarve, Portugal. The Atlantic Cup 2018 will consist of two groups of four teams (‘Group A’ and ‘Group B’). Each team will play two games against opponents from within their group. The winner of each group will be determined by the team that accumulates the most points across their two fixtures. These two teams will play each other in the final of The Atlantic Cup 2018. The remaining teams will then go on to play the corresponding team in the opposing group in a Play-Off game. (1st place v 1st place, 2nd place v 2nd place, 3rd place v 3rd place, 4th place v 4th place). However, if two teams from one country finish in the same position in their relative group, fixtures will be adjusted to ensure that no teams from the same country play each other in the second phase of the tournament (this will not apply to the two finalists). Sporting Events are delighted to announce that Croatian champions HNK Rijeka will return to The Atlantic Cup to defend their crown after winning the competition in 2017. One of the most decorated teams in Croatia, they will be eager to retain the trophy for a second year running. The Atlantic Cup has always boasted a strong collection of Swedish sides with some of the biggest names in the Swedish Allsvenskan competing in the pre-season tournament. This season is no different, with Hammarby - one of Sweden's biggest and most iconic clubs - participating for the first time. They will be joined by 2015 Allsvenskan champions IFK Norrkoping, who will be making their second appearance in the competition. Atlantic Cup regulars AGF will make their third consecutive appearance in The Atlantic Cup this year, and with the Danish teams impressing in previous years, they will be keen to fly the Danish flag and show the rest of the competition what they are capable of. Czech Republic outfit and Atlantic Cup stalwarts FK Jablonec return for their fourth consecutive appearance in the tournament. They have impressed in previous years, and having reached the final in 2017, they will be eager to once again show how strong Czech teams can be in the competition. For the first time, Sporting Events are honoured to welcome a Chinese side into The Atlantic Cup. Beijing Sinobo Guoan FC are one of the biggest names in China, with one league title and four FA Cups to their name. 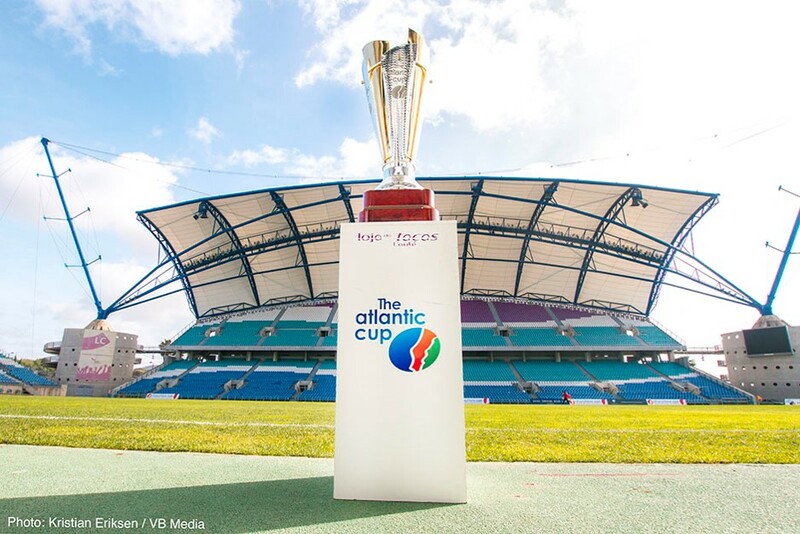 As the first ever Chinese outfit to take on The Atlantic Cup, they will be keen to show the rest of the competition that they are no pushovers. Another first for The Atlantic Cup, Sporting Events are proud to announce the first ever Irish side to participate in the tournament. Shamrock Rovers FC will be compete for the pre-season trophy this winter. As Ireland’s most successful club, they will no doubt look to fly the Irish flag high and show the rest of the competition they are made of stern stuff.